Got scalpel? 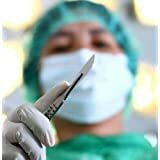 Would you operate on yourself? The questions in the headline are something of an exaggeration and wholly a cliché that I was too weak to resist, but a new online service made me do it. Buyers can search homes for sale, request showings, and make an offer on a home online, while sellers can list a home for free, get information on low cost and discount ways to advertise their properties tapping the best of web 2.0, get professional yard signs, receive and negotiate offers, and finalize a purchase agreement in a private, online Deal Room. From my biased point of view, I can’t imagine that even the site’s cafeteria of services would help buyers anywhere; as for sellers trying to unload a home themselves, that debate continues.